This category also have useful information for your travel, such as about sightseeing in Tokyo, eating Ramen, Sushi and other Japanese food etc. Please enjoy your time at Narita Airport and its surrounding areas. 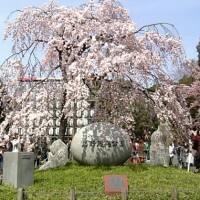 “Ueno sakura”Enjoy a brief viewing of Cherry Blossoms! at Ueno. 2016/01/26 4.What to do in Tokyo? 2016/01/22 4.What to do in Tokyo? “Tokyo restaurant” Did you really looking for?Carefully selected gourmet site×6. 2014/07/22 4.What to do in Tokyo? 2013/10/20 4.What to do in Tokyo? 2013/07/10 4.What to do in Tokyo?